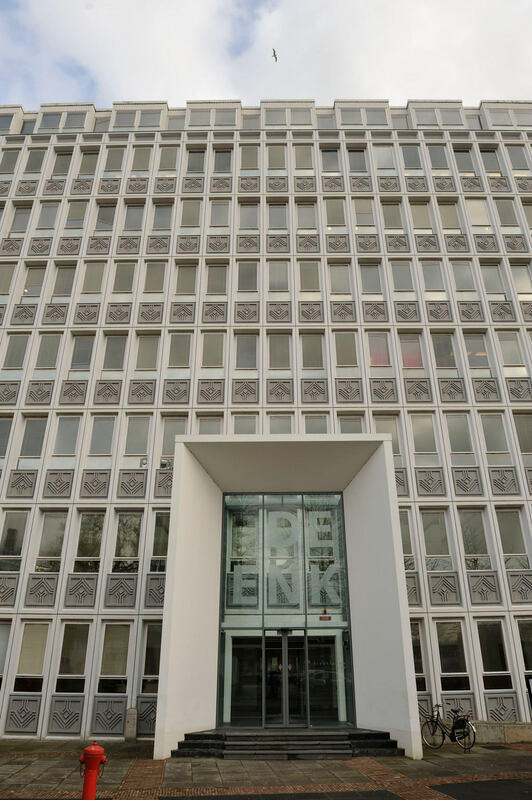 Since 2013 IKT’s impartial and independent CIPP-liner testing has been available in our new laboratory in the Netherlands. IKT founded a new branch in the Dutch city of Arnhem in 2013. “IKT Nederland” is now the first point of contact with IKT for Dutch and Belgian network operators, engineering consultancies and contractors on all matters concerning sewer systems. 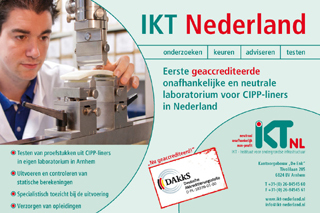 IKT Netherlands is the first accredited test centre for CIPP liners in the Netherlands. It is accredited in accordance with European/ISO Standard: DIN EN ISO/IEC 17025 for selected mechanical and technological tests on polymeric components of pipe and CIPP-liner systems and on samples of GRP laminates.